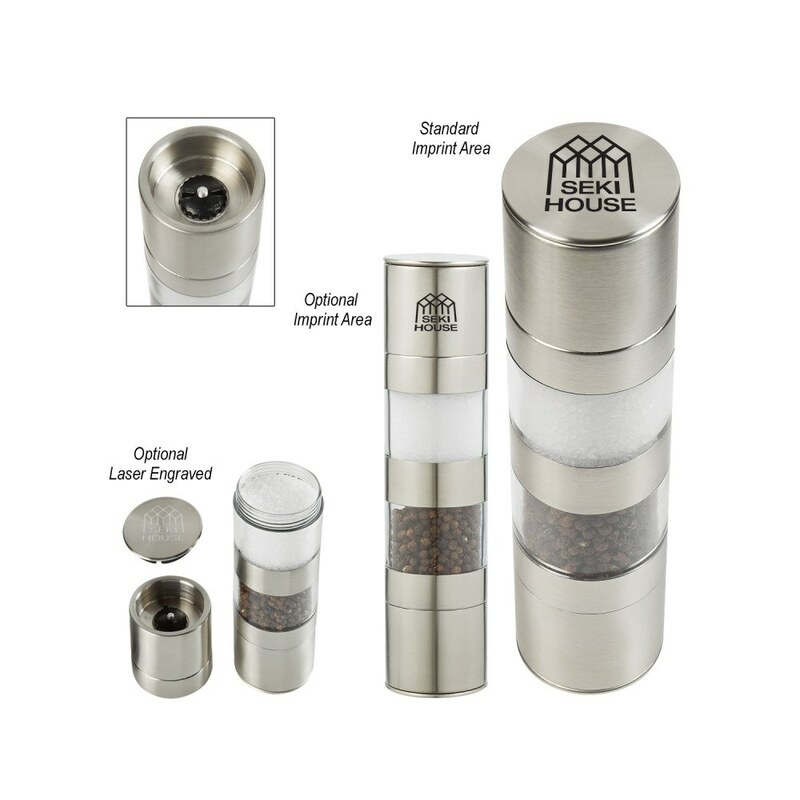 Our Salt & Pepper Mill is durable and strong with stainless steel construction. It comes with non-corrosive adjustable ceramic grinding plates and special 2-in-1 design to reduce kitchen clutter. Savor the flavor for your brand with a stunning kitchen accessory as your next promotional giveaway and see your business growing fast and better! This amazing Salt & Pepper Mill will certainly bring smile on your recipients’ faces for its functionality that makes meal times better and more enjoyable. With this spice grinder, you can enjoy the taste of fresh spices for your meals. This mill combines two grinders in one to save you from getting two separate mills for salt and pepper. 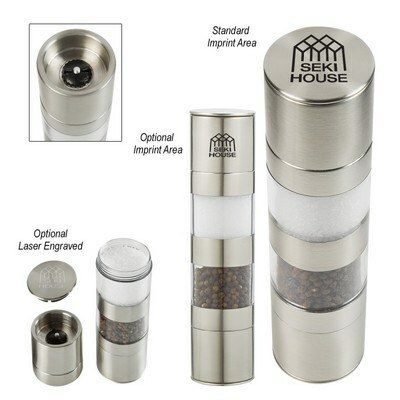 High quality stainless steel spice grinder features dual chambers with end caps to work seamlessly on your dining table and countertop without any leaks. Perfect for any type of spices, the mill comes with adjustable non-corrosive ceramic grinding plates to grind from fine to coarse as per the requirement. Choose your imprint area from the options available and bring focus to your brand logo and company name in every home!